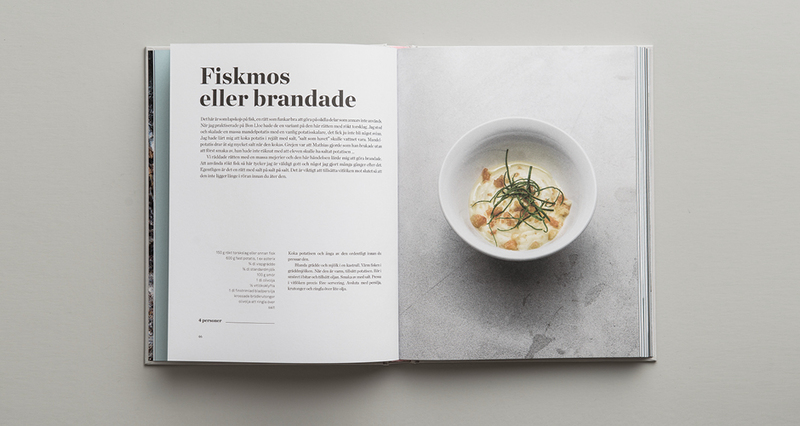 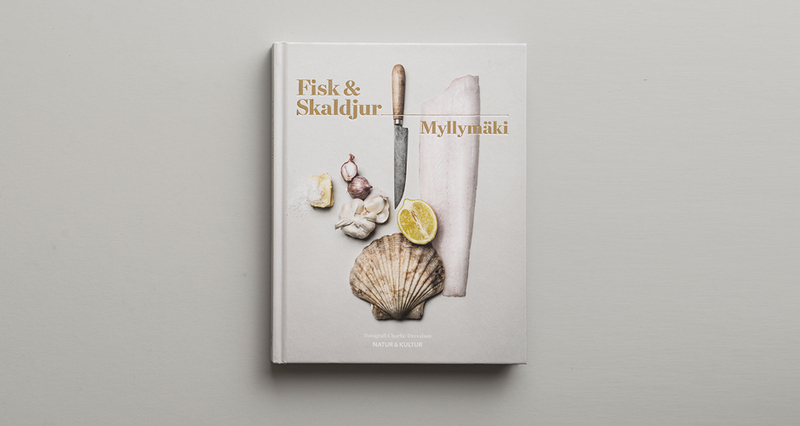 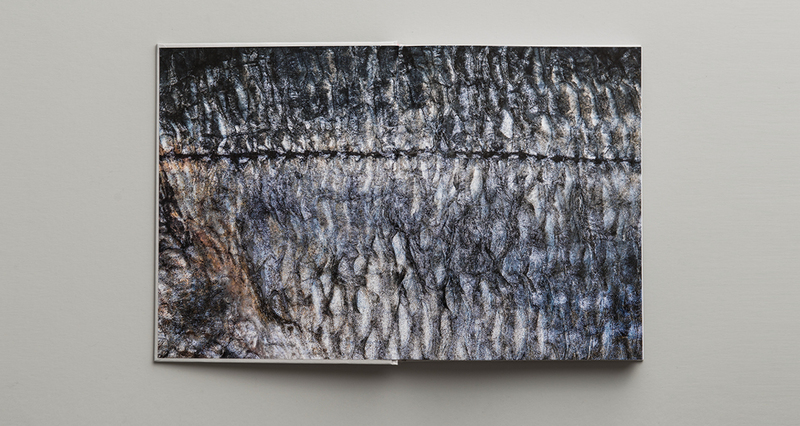 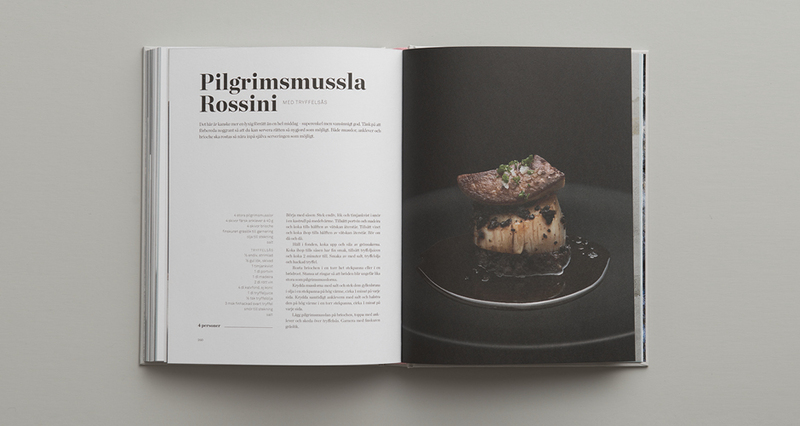 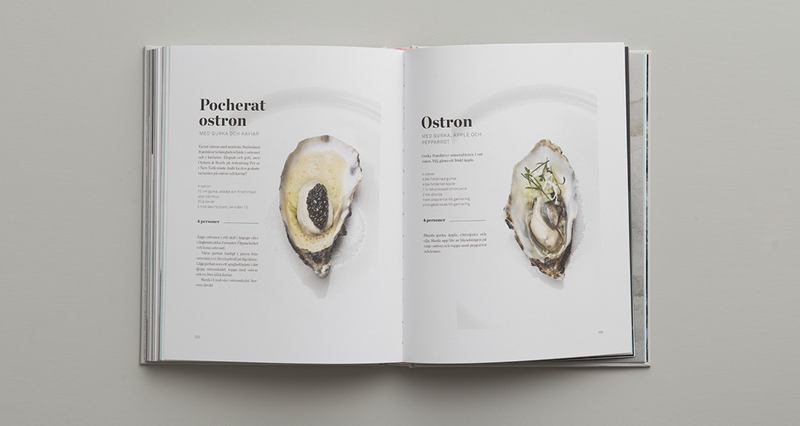 Fisk & Skaldjur is the third cookbook with the well known Swedish chef Tommy Myllymäki. 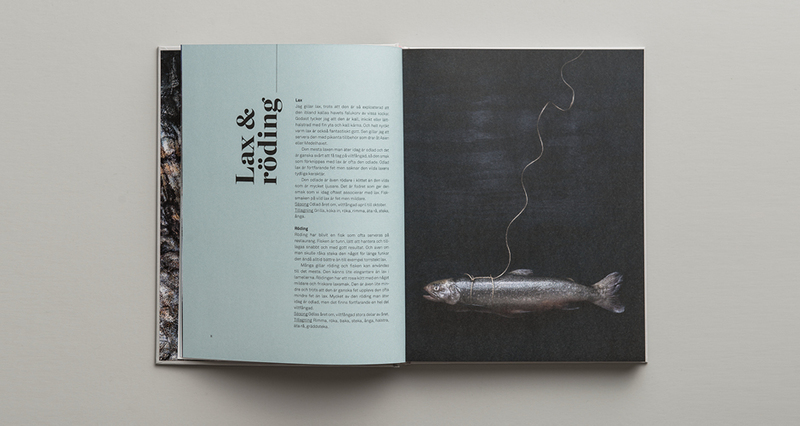 He uses the same primary ingredients as in his own home cooking, everything from cod and zander to crab and oysters. 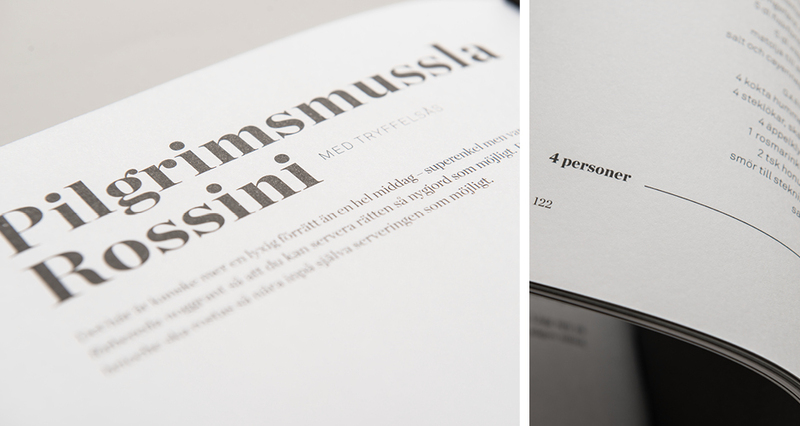 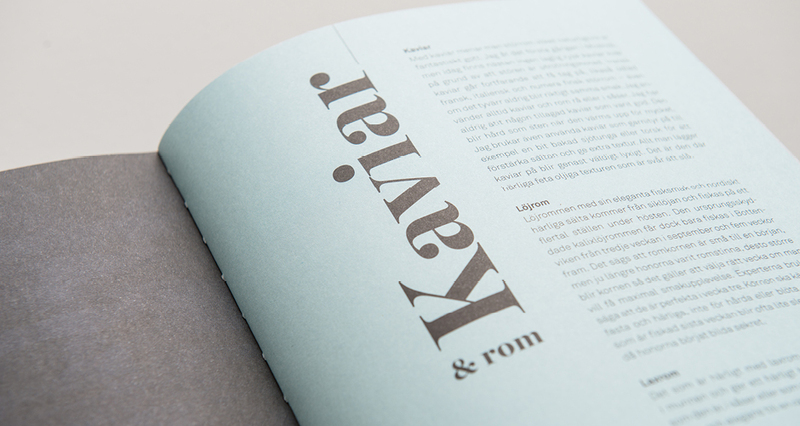 The book is designed with the fonts Akkurat and Chronicle. 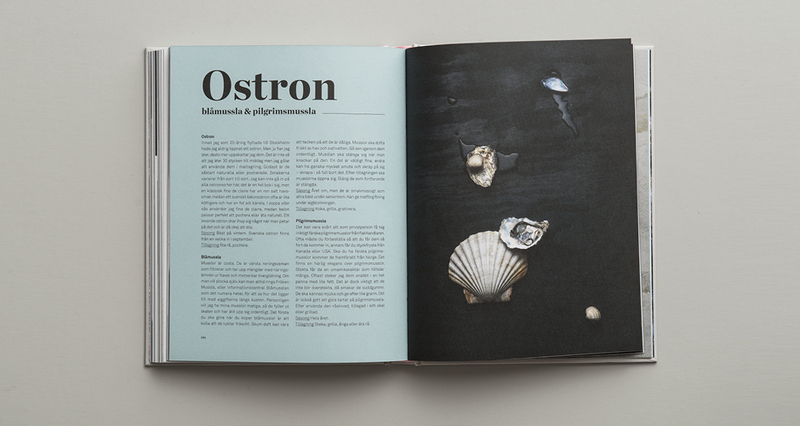 The paper is Amber Graphic and Multiart Gloss. 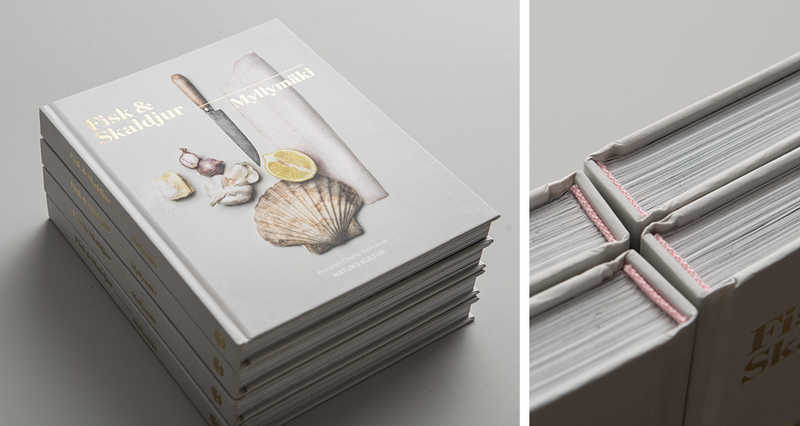 The effect on the cover is golden foil.